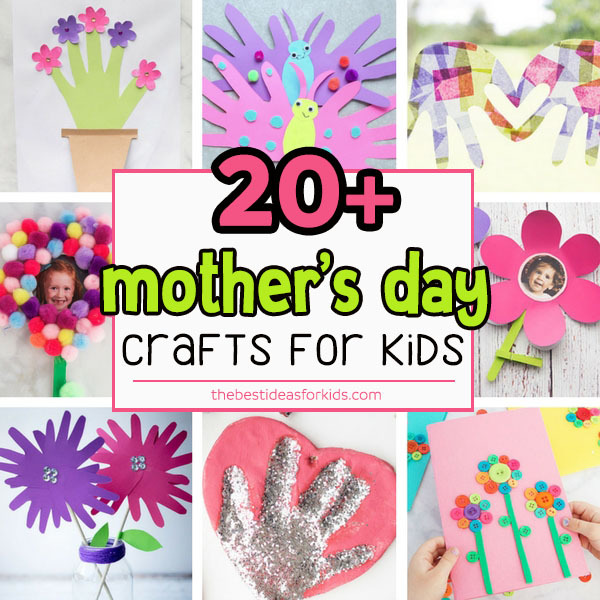 There is nothing more precious than a handmade gift for Mother’s day. 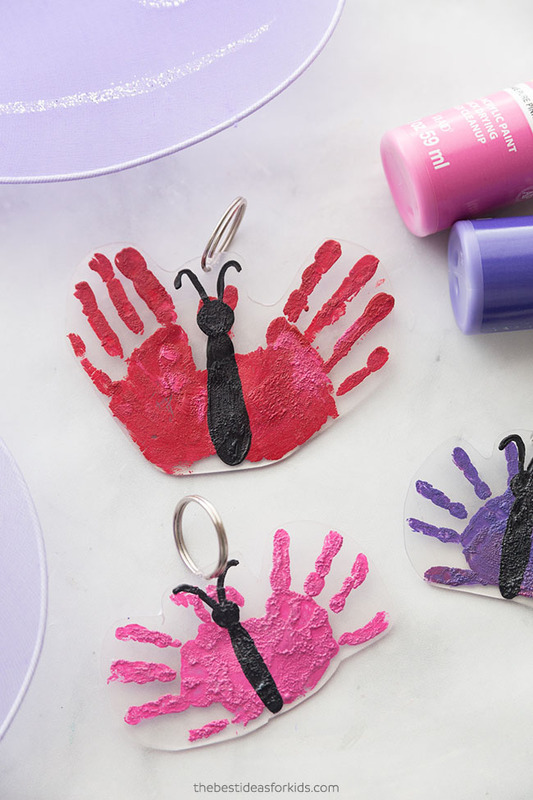 And what Mom or Grandma would not love to receive this adorable shrinky dink handprint keychain? We made ours into handprint butterflies but you can do any type of handprint design. 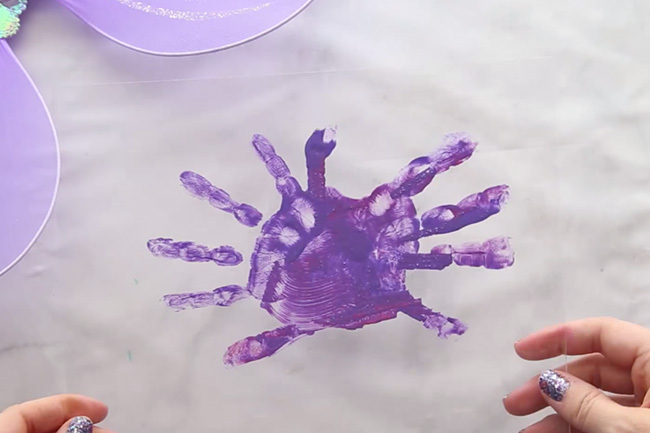 You can even just make regular handprints! 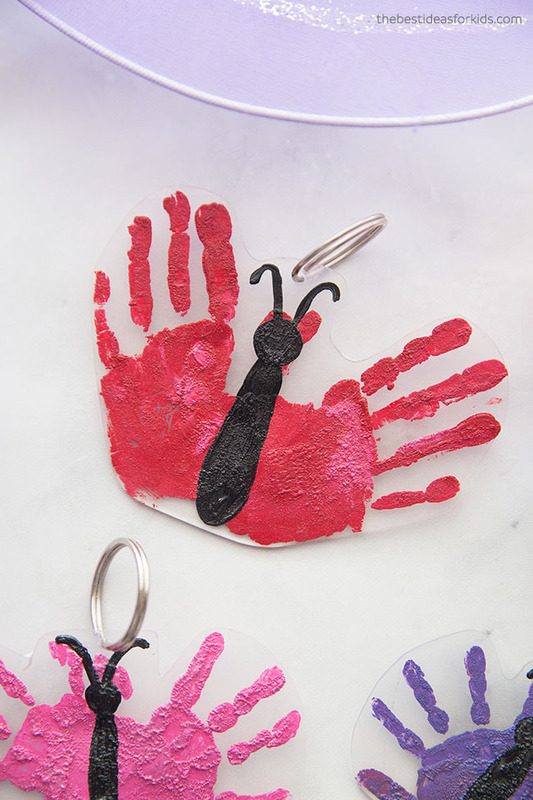 We’ve made shrinky dink keychains before – you can see the footprint butterfly keychains we made. And if you love handprint butterflies you could also give this gift with a handprint butterfly card. 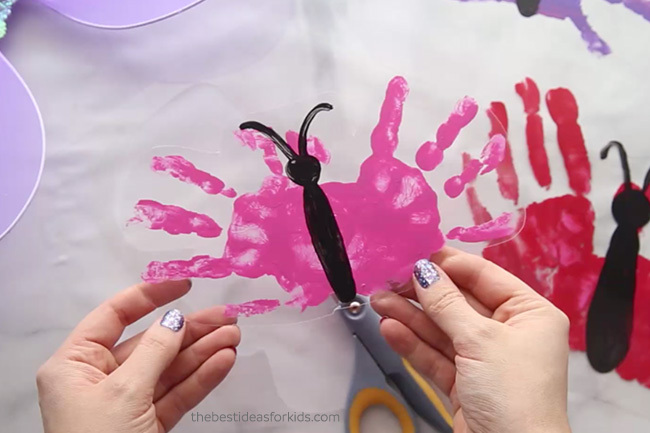 Not only will kids love creating their handprint butterflies to make this craft – they will love watching the shrink plastic shrink! It’s pretty neat to see it transform into a much smaller size. And the package we used came with 10 sheets so you’ll have more than enough leftover to do some extra keychains that kids can design themselves too. 1. 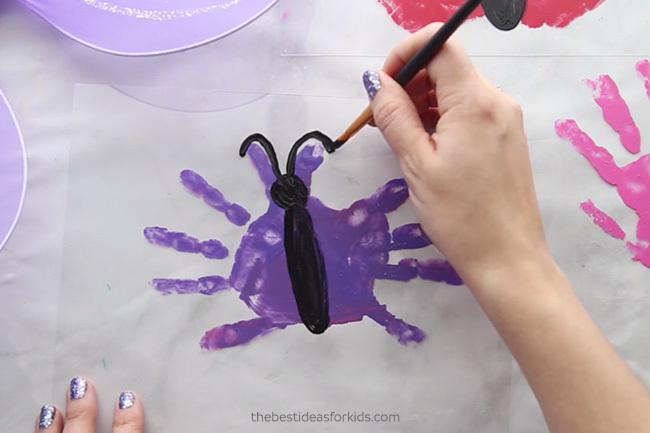 First, paint your child’s hand. Cover completely so the handprint will show up without any missing paint spots. If you do have some parts not fully painted you can touch them up with a paint brush. 2. 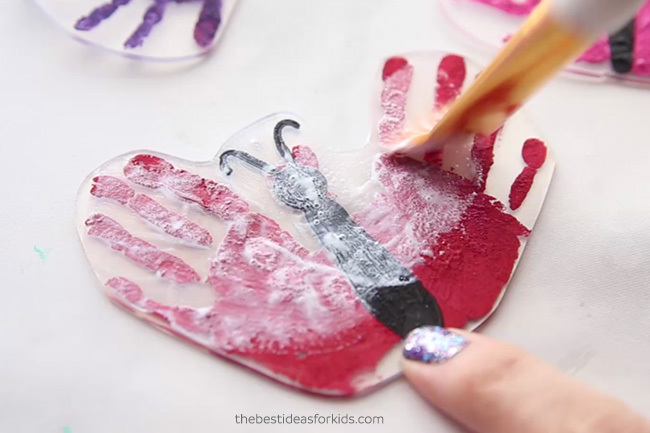 Place one handprint on the Shrinky Dink plastic. Press down firmly to get a good imprint. 3. Now do another handprint to make two handprints side by side to form the wings of the butterfly. 4. Wait for the paint to dry completely and then paint the center of the butterfly with black gloss paint. 5. 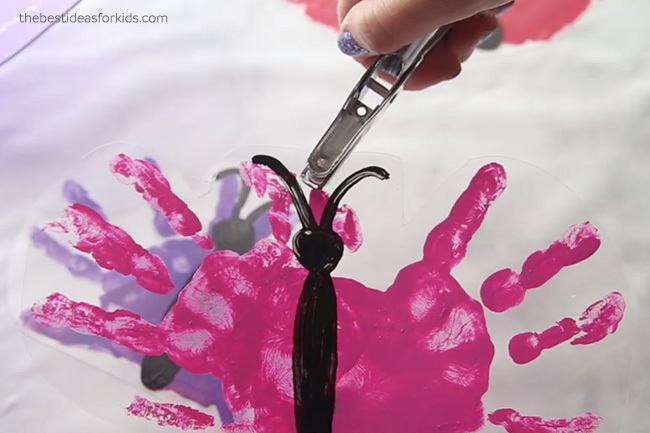 Once the paint is fully dry you can cut out the butterfly. 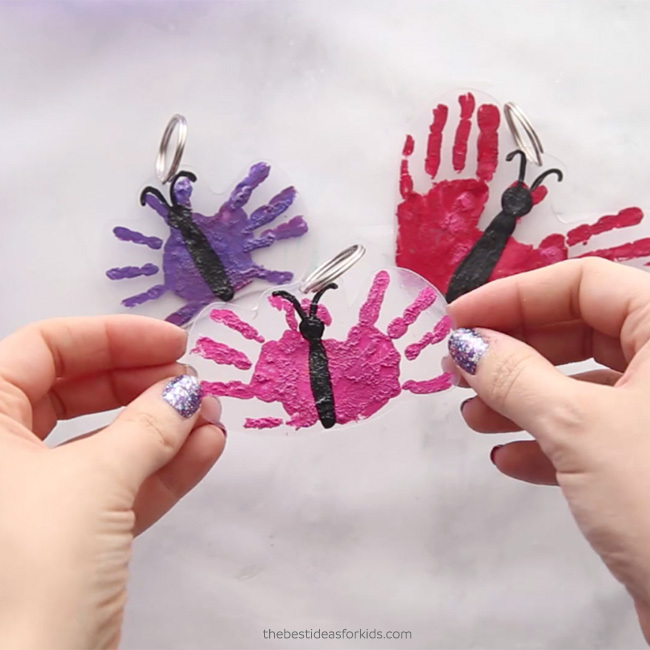 Make sure you leave a spot for where you’ll want to make a hole punch for the keychain. 6. Add a hole punch to where you want your keychain to go. 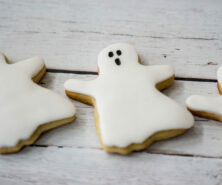 Make sure you do this before you bake! 7. Now bake according to the Shrinky Dink package directions. 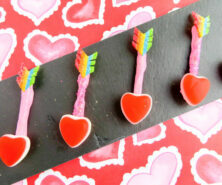 Place paint side up in the oven and on a parchment paper lined cookie sheet. Tip: If your keychains come out a little curled, immediately press them with a spatula when warm to flatten them out. 8. Paint on mod podge on the side of the paint to protect it from scraping off. 9. Once completely dry, you can now add your split rings for your keychains! 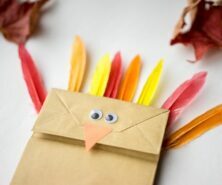 We love how easy this diy Mother’s day gift is to make! Anyone receiving this will surely cherish this sweet keychain for many years! 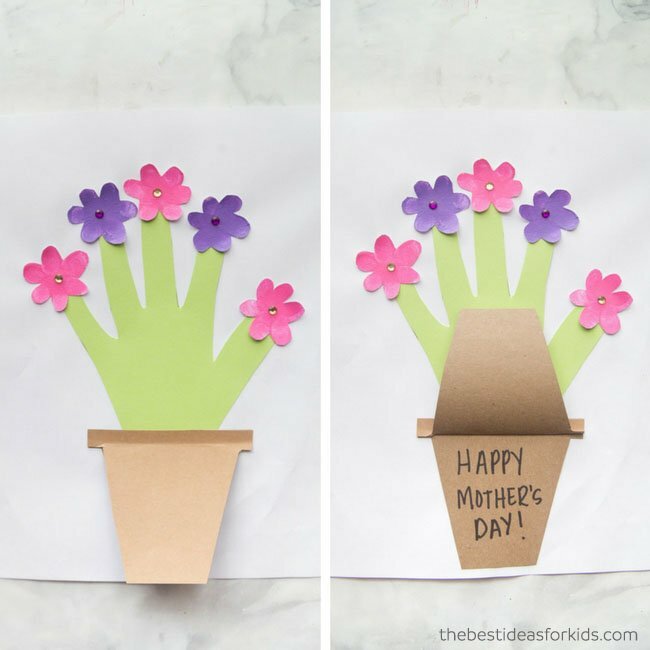 This handprint flower pot card is an adorable card to go with your keychain gift! 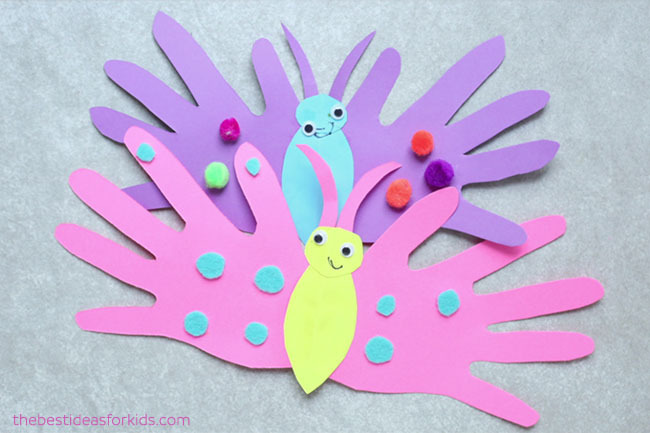 See how we made this adorable handprint butterfly card!